Valve has revealed its first prototype ‘Steam Machine’, which will enter public beta later this year. This is the second product Valve has announced this week: on Monday the company lifted the lid on its Linux distribution SteamOS; and the company has promised a third bit of news to arrive on Friday. Steam Machines are PCs designed for use with a TV in the living room, and will be able to stream games from any other hardware running Steam on the same local area network. 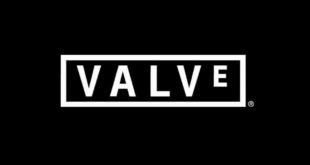 Valve’s manufacturing partners will create their own compatible hardware, but Valve is offering 300 Steam users to get their hands on their prototype to make sure all the kinks are worked out with how the hardware and software will perform in the real world. Users are free to build their own PCs to act as Steam Machines, but it sounds like even without the DIY option there will be a decent amount of variety between Valve and it’s partners. While the company isn’t revealing hardware specs just yet, it’s safe to say any prototype Steam Machine would have to be able to take advantage of SteamOS’s streaming technology, so expect this box to be wireless heavy, with medium sized storage, but very upgradable. “ The specific machine we’re testing is designed for users who want the most control possible over their hardware,” reads the announcement. Its interesting that Valve is offering its most customizable (and probably the most breakable) option they have, as this suggests they’re willing to jeopardize stability in favor of making sure the Steam Machine is as open a platform as they’ve said it would be. Not just that, they’re showing a bit of swagger by not forcing beta testers to sign an NDA; the testers are not only allowed, but encouraged to go public with everything they love and hate about the first Steam Machine. Even users not actually in the beta will be able to chime in by posting in the Steam Universe Group, so developers are free to shout loudly about what they need from Valve if they’re to get on board the living room PC machine. Valve is picking up the glove tossed by Ouya by promising that the Steam Machine will be completely hackable, and users can change any part of the hardware or software they want. While most PC gamers prefer mouse and keyboard over other input devices, Valve is trying to get more users to consider using gamepads, and hinted that Friday’s announcement is one of its prototype input peripherals. 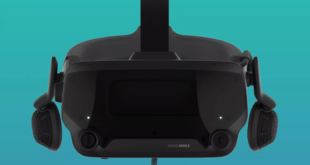 The idea a controller is getting pride of place over hardware and an operating system – both firsts for the company and according to traditional wisdom, the bigger news – is intriguing, and suggests that Valve has something pretty unique up its sleeve for Friday. Those interested in getting in on the beta test need to have an active Steam account with a public profile and ten Steam friends, join the Steam Universe community group, agree to the Hardware Beta Terms and Conditions, and play a game with a game pad in Big Picture mode.